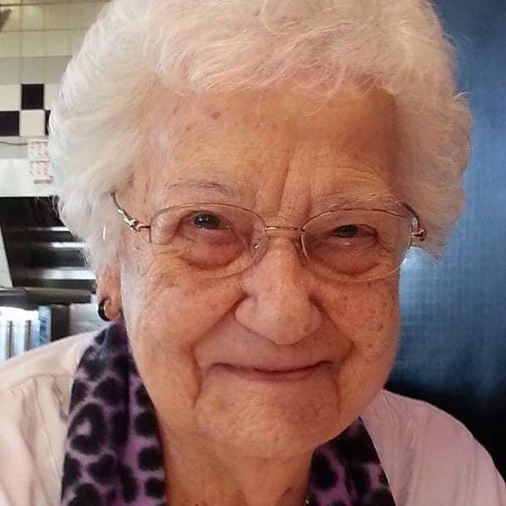 Wilma (Lois) Bowman, 99, of Kokomo, beloved Grandmother, Sister and Aunt passed away peacefully at home on March 28, 2019 surrounded by family. Lois was born on February 12, 1920 at home in Cass County to Butler and Maizie (Long) Robertson. She graduated from Young America High School in 1938 and was a member of Walton Christian Church. Lois married Everett Bowman on July 3, 1943 in Delphi, Indiana. Everett and Lois were married 57 years when Everett passed away on February 28, 2001. Lois worked at Logansport State Hospital for 20 years and retired in 1982. She also loved to help Everett work on the farm. She was a faithful volunteer at Saint Joseph Hospital in Kokomo for 30 years. In August 1997 Lois was named the Senior Volunteer of the year, representing Cass, Fulton, Howard, Miami, Tipton and Wabash Counties. She was also a volunteer at the Salvation Army in Logansport, cooking and serving meals. Lois was preceded in death by her husband Everett and sons Charles and Donald; grandson Robert, four brothers - Paul, Russel, Ross and Neil Robertson and two sisters - Dorothy Passon and Mary Jeffries. Lois is survived by six grandchildren – Michael (Shannon) Bowman, Liberty, IN; Don (Penny) Bowman; Kokomo, IN; Teresa (Seth) Gascho, Kokomo, IN; Dana (Olivia) Bowman, Lafayette, IN; Ethan (April) Bursley, Orlando, FL; Aaron (Rachel) Bowman, Savannah, GA; fifteen great grandchildren, Spencer (Sophie) Syndey and Skyler Bowman, Liberty, IN; Brent (Nicole) Bowman, Kokomo, IN; Andrew (Lauren) Bowman, Indianapolis, IN; Jenna Bowman, Evansville, IN; Kali Harrison, Kokomo, IN; Morgan (Chad) Harrison, Chalmers, IN; Collin and Carlie Bowman, Lafayette, IN; Amy, Logan and Lacey Bursley, Orlando, FL; Wallace and Everett Bowman, Savannah, GA; three great-great grandchildren – Braxton, Liam and Paisley. She is also survived by two sisters in law – Lynette Roberson, Walton, IN; Louada Chisolm, Sandy Spring, MD and many nieces and nephews. The family would like to say a very special “Thank You” to Dr. Melanie Bozard for her tender loving care of our Grandmother over the years. She loved you very much.